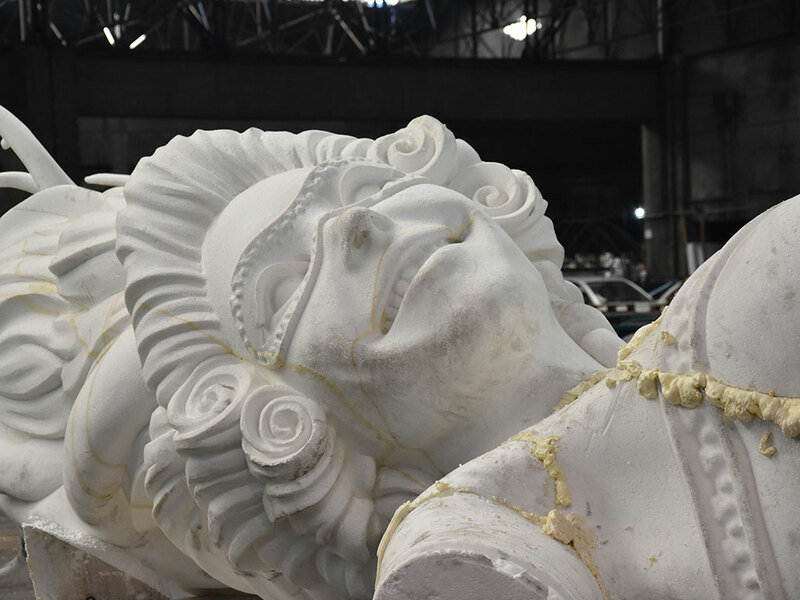 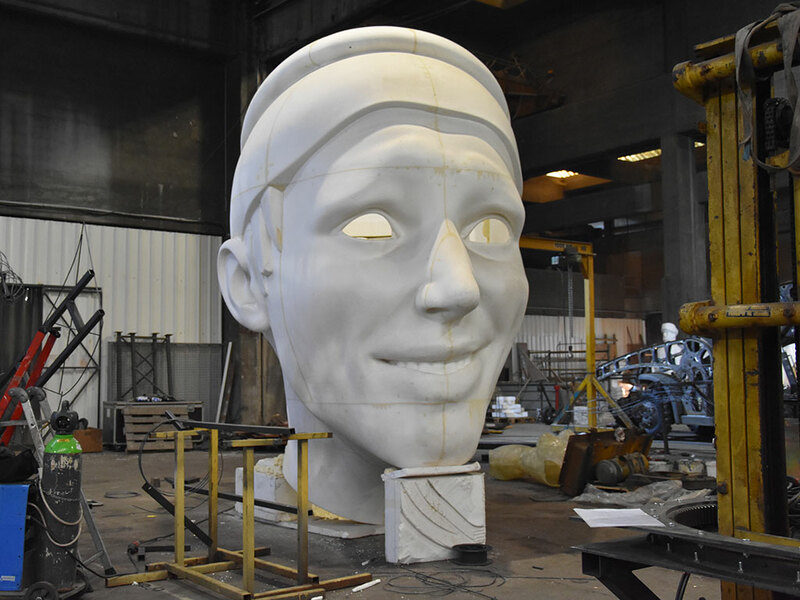 ScultoRob works alongside the masters of the carnival, taking care of the operations of roughing and shape definition, leaving the skilled hands of the artists to carry out all the details. 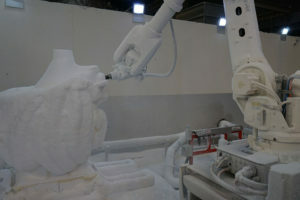 An enormous help, especially in terms of reducing time. 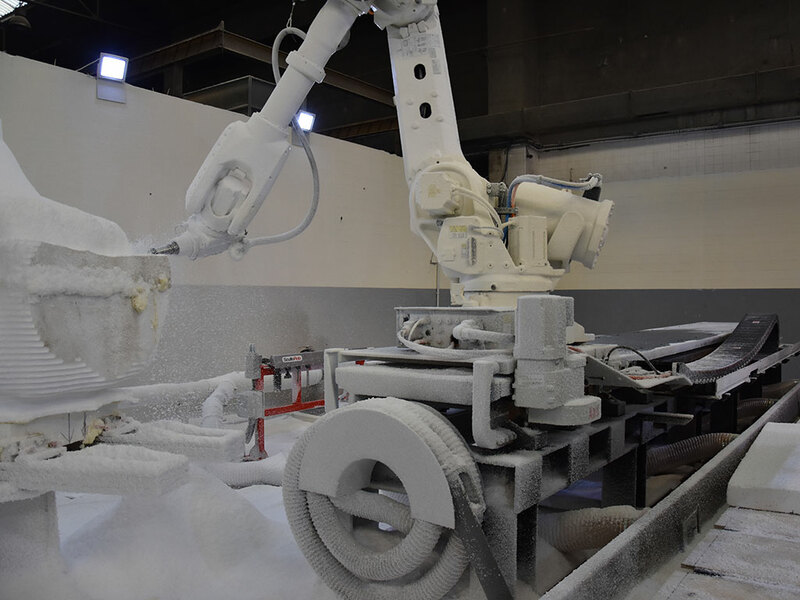 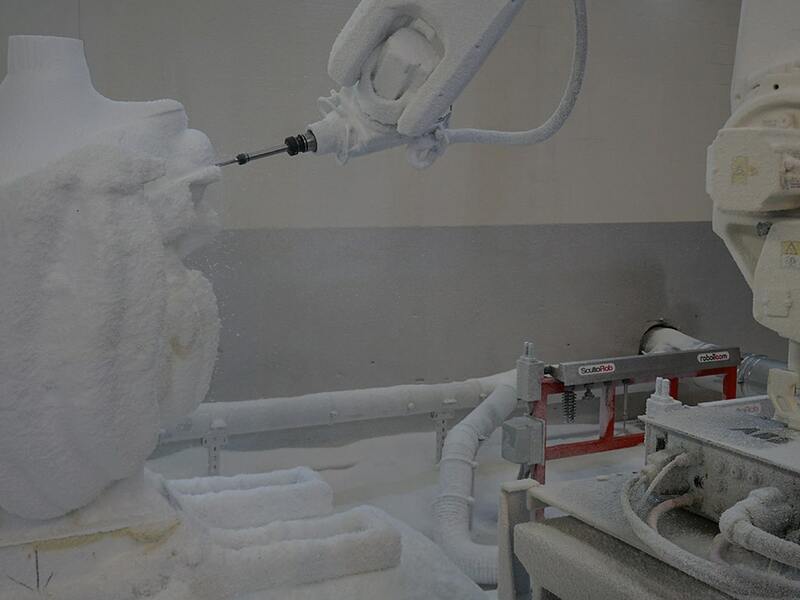 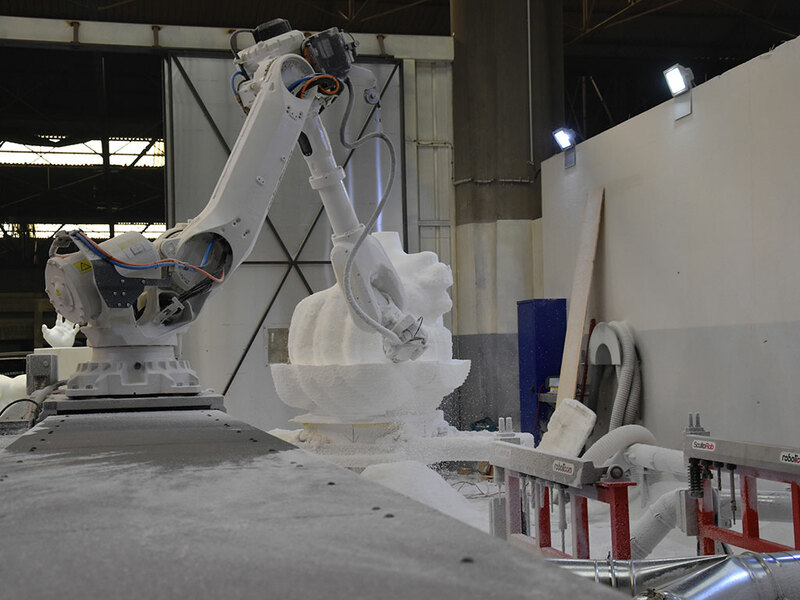 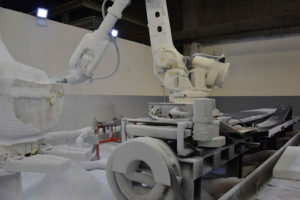 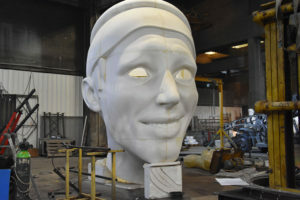 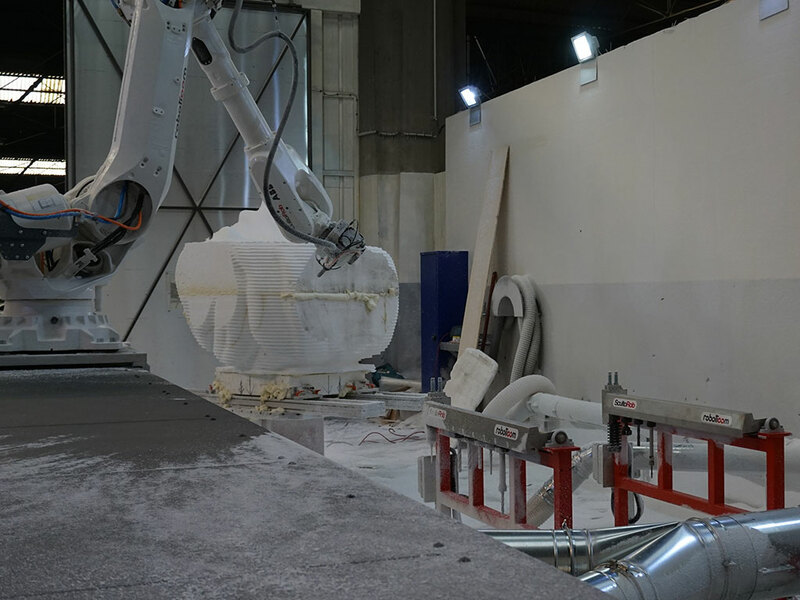 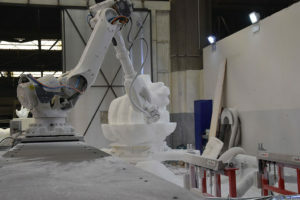 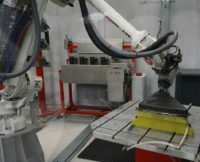 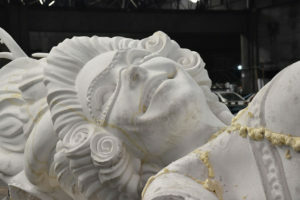 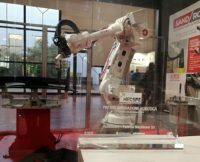 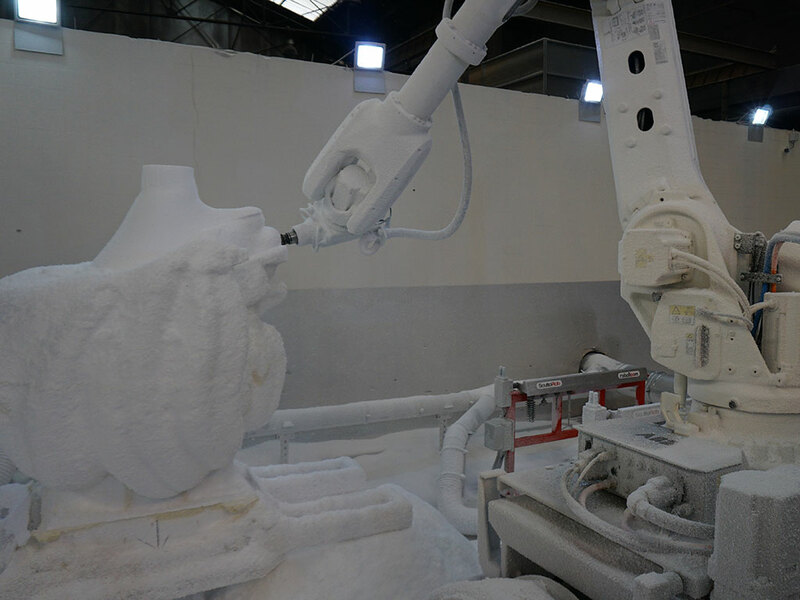 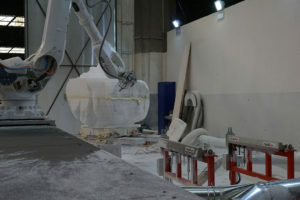 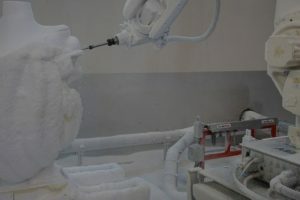 The robot works continuously, including the night, milling blocks of polystyrene placed on a rotating table and moving on a 23’ track, for larger works.